The Causeway pub in Hartlepool. Two men admitted robbing a Hartlepool pub drinker of cash and jewellery. 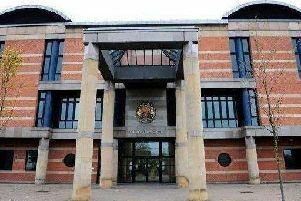 Tyler Cannon and Keegan Stephenson attacked their victim in the Causeway pub in Hartlepool. Cannon later sent threatening messages to the victim in a bid to derail the court case, Teesside Crown Court heard. Both men were warned by a judge they are facing lengthy prison sentences when they are dealt with next month. Stephenson, 18, of Calder Grove, Hartlepool, admitted robbery of cash and a gold chain on February 19. Cannon, 19, of Carlton Street, Hartlepool, admitted robbery of cash on February 19, and he admitted witness intimidation on February 20. Stephen Constantine, for Stephenson, said:"He is only 18, and he has a previous conviction for robbery. "The court would be assisted by a psychiatric report. "He has a number of longstanding problems that should be investigated." Andrew Teate, for Cannon, said he would also like a pre-sentence report. "He accepts it may only assist in determining the length of sentence," added Mr Teate. Judge Peter Armstrong ordered the reports. The judge told the defendants: "A sentence of some length is inevitable." Cannon and Stephenson were remanded in custody until May 17 when it is expected they will be sentenced.